Julio Orozco is a bay area native who is excited about the many opportunities CRDLS has to offer. A Saint Elizabeth graduate, Julio’s many years in the Fruitvale community shows his passion for others and his willingness to help each kid that comes through the front doors. 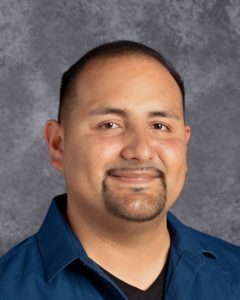 Julio brings many years of experience working in different areas of a high school and hopes to use his coaching leadership to help students in the classroom and field so that they can succeed at every level.